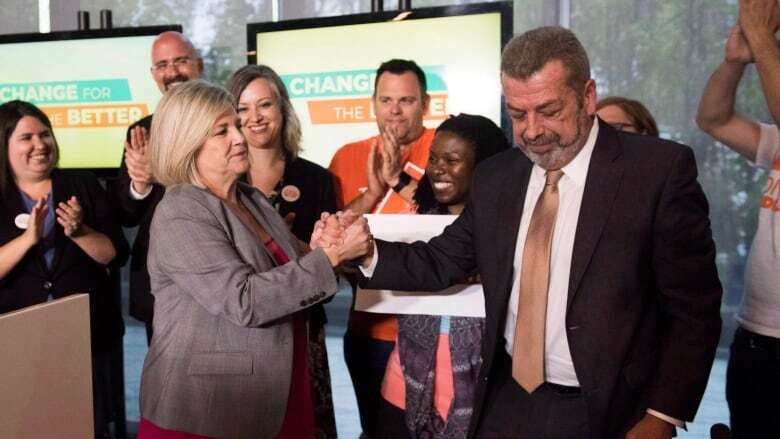 Questions are being raised about whether some of the most vocal interest groups in Ontario broke the province's election finance law with their political advertising campaigns last year. The group Democracy Watch is asking Elections Ontario to investigate Ontario Proud, who says its social media messaging played a "pivotal role" in the victory of Doug Ford's Progressive Conservatives . Ontario Proud's funding for its political advertisements came almost exclusively from developers and construction firms, according to its post-election financial report to Elections Ontario. Democracy Watch argues that the identity of these corporate donors should have been revealed with the ads. Meanwhile, the Canadian Taxpayers Federation is questioning whether the Elementary Teachers' Federation of Ontario (ETFO) exceeded spending limits by donating to a group pushing for a higher minimum wage, in addition to spending nearly $700,000 on its own advertising campaign. Any organization that is not a political party, known as a "third party" in Ontario law, now faces strict pre-election spending limits under the province's Election Finances Act. The limits were imposed after unions and the labour-funded group Working Families spent millions of dollars in successive elections on sophisticated attack ads targeting the Progressive Conservative Party. For the 2018 vote, those limits were $610,800 in the six months before the campaign started and $101,800 during the official campaign. ETFO's financial report to Elections Ontario shows it spent $598,051 pre-campaign, then $95,635 in the election period, both amounts under the limits. But another financial report filed to Elections Ontario shows ETFO donated a total of $30,000 to the group Fight for $15 and Fairness, which also engaged in election advertising. ETFO insists its total spending complied with the rules. "The [Election Finances] Act permits contributions by a trade union to a third party for political advertising. The Act also permits trade unions to conduct their own political advertising," said ETFO president Sam Hammond in a statement to CBC News. Hammond said the law neither prohibits third parties from communicating or associating with each other, nor from running advertising campaigns that deal with similar issues. "There was no discussion or coordination between ETFO and the Fight for $15 and Fairness as to how those donations would be used," said Hammond. In an email late Friday afternoon, the coordinator of Fight for $15 and Fairness, Pam Frache, told Elections Ontario that ETFO's donation was included in its report in error, as the money was for its community organizing efforts, not for advertising. Ontario Proud also denies it did anything wrong in its advertising. The request by Democracy Watch for an investigation is "frivolous and without merit," said Ryan O'Connor, a director of Ontario Proud and lawyer for the group. "Ontario Proud fully and completely complied with all of the relevant provisions of the Election Finances Act, so there's no need for an investigation," O'Connor said Friday in a phone interview with CBC News. "Ontario Proud placed all of the ads," said O'Connor. "It complied with the legislation by indicating when there was an ad that it was Ontario Proud that was placing it." ETFO was the biggest advertising spender among all the third parties. Another big union-sponsored advertiser was Working Ontario Women, funded entirely by a $712,000 donation from SEIU Local 1. The group's first ads attacked Patrick Brown, then-leader of the PCs, questioning his commitment to a woman's right to have an abortion. Working Ontario Women spent $580,650 in the run-up to the campaign and $90,632 during the election period. The group Working Families has launched a legal challenge against the pre-campaign spending limits, arguing they are unconstitutional. An official said it hopes the case could be in court next fall.